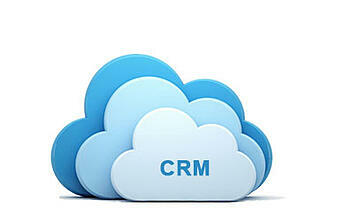 When it comes to selecting a cloud CRM solution, this can be a difficult and time consuming task. There are many different applications to evaluate and a long list of third-party service providers to select from. In this article we will discuss five things to consider that will help you select the right cloud CRM solution for your business. A cloud CRM solution can save you the hassle of day-to-day system maintenance, and it also puts the service provider in charge, forcing you to give up a certain amount of control over your data and information. This can be difficult for many companies, because of the mission-critical and sensitive nature of customer data. However, selecting a service provider that has the appropriate security measures in place can protect your valuable and sensitive data. Be sure that the cloud CRM solution you select provides support for secure socket layer (SSL), data encryption, and other features designed to prevent unauthorized access and other security breaches. System uptime and performance are also very important, especially if your cloud CRM solution will support service teams that work all hours of the day. Look for 24 x 7 system monitoring, redundant servers, scheduled daily backups, and various other procedures that help to reduce the risk of downtime and prevent data loss in the unlikely event of an outage or system failure. When implementing a cloud CRM solution, you shouldn’t be forced you to start restructuring existing workflows across your sales, marketing, and service teams. Your service provider should understand that every organization has unique processes, methodologies, and best practices. Be sure that the way your cloud CRM application supports and automates your processes works with the way you do business. The cloud CRM solution you decide to use should be very flexible when it comes to reporting. Your CRM solution should offer the ability to build custom and ad-hoc reports, as well as dashboards and visualizations, so you have the tools necessary to address your specific information requirements. Basic user-defined alerts are not actual workflow automation despite what some cloud CRM vendors may try to tell you. Cloud CRM solutions that are truly workflow-enabled will not only improve the productivity of your key processes, but will also dynamically automate their execution based on structured business rules to ensure maximum efficiency, consistency, and repeatability. At first glance, most cloud CRM solutions seem to be more affordable and deliver more value than their on-premise competitors. However, if you select a cloud CRM solution that offers less features and capabilities, isn’t user-friendly, or doesn’t include comprehensive post-installation support and training, then you’re not making the best use of your investment. SageCRM is a user-friendly, feature-rich, wireless and Internet-based suite of applications that provides enterprise-wide access to vital customer, partner and prospect data anytime, anywhere. It is designed to support all aspects of customer relationship management. Sage CRM Cloud is ideal for companies that want to get up and running quickly or have limited in-house IT expertise. Since it's in the cloud, you don't have to worry about managing servers and workstations and nightly database backups are performed automatically. For help selecting a CRM Solution, or answers to your questions on Sage CRM, contact Equation Technologies today. Our knowledgeable staff is ready to help you move forward with a CRM solution that fits your needs.